On the Sony Classical label - The New Year’s Concert, one of the world's most famous and spectacular classical music events, returns for the 80th time to present to viewers a sensational programme made up of the vast repertoire of the family of Johann Strauss and its contemporaries. Every year since 1939, the Vienna Philharmonic, one of the world’s finest orchestras, put on a show filled with lively, uplifting, yet nostalgic music which is broadcast in over 90 countries to a worldwide audience of 50 million viewers. 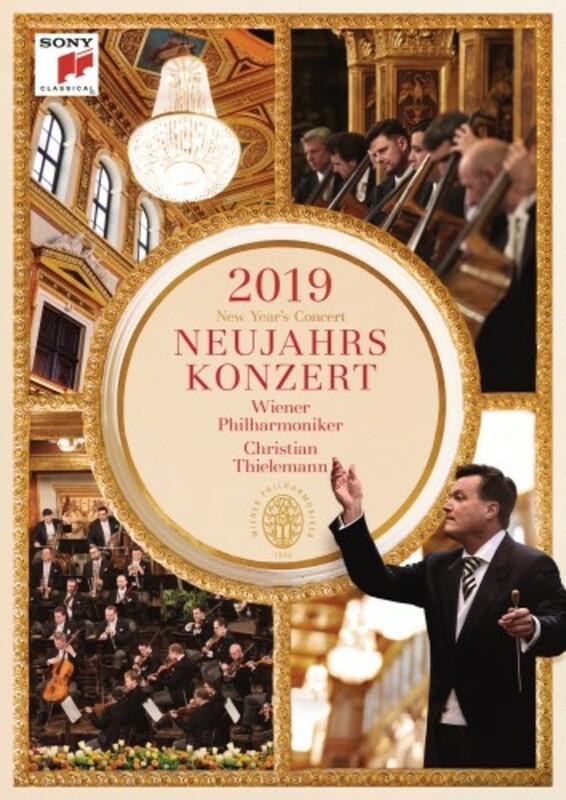 The New Year’s Concert 2019 sees Christian Thielemann, Principal Conductor of the Dresden Staatskapelle and Artistic Director of the Salzburg Easter, conduct this prestigious international concert event for the first time. This wildly anticipated event was broadcast on New Year’s Day on BBC 2 TV and BBC Radio 3.